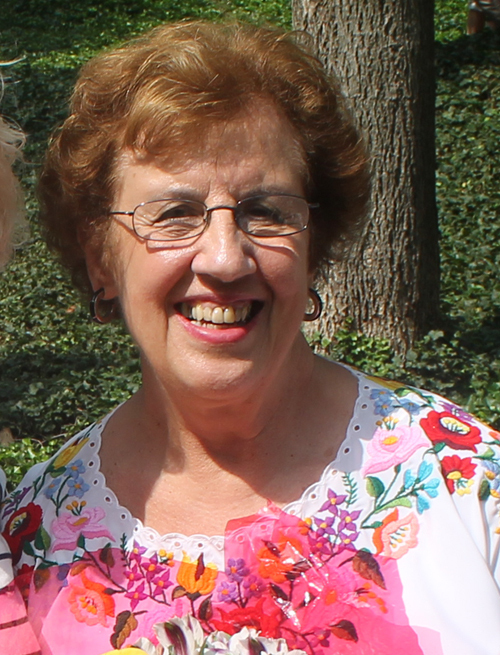 Carolyn Balogh was born and raised in Cleveland, Ohio. She earned her B.S. in Education from Ohio University in Athens, Ohio. Following graduation, she taught in Cleveland, Ohio, Euclid, Ohio, and Oakland, California. When Carolyn’s husband established their business, Mar-Bal, Inc. in 1970, Carolyn assumed the role of Human Resource Manager and Chief Financial Officer. She currently manages their real estate company, Balogh Real Estate LLP. You will see Carolyn at all the events and programs for the Cleveland Hungarian community such as the Hungarian Cultural Garden of which she is president. She recently helped the Hungarian Garden celebrate its 75th anniversary. Carolyn is on and part of many business and community boards and associations. Debbie Hanson of ClevelandPeople.Com introduced Dr. Maria Pujana to induct Carolyn Balogh into the Cleveland International Hall of Fame. 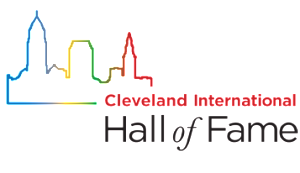 Dr. Pujana was inducted into the Cleveland International Hall of Fame in 2014. 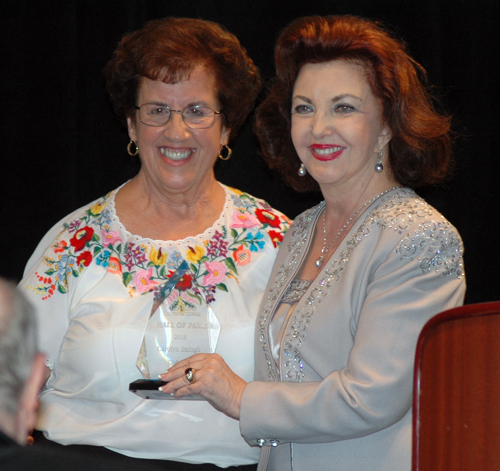 Dr. Maria Pujana inducted Carolyn Balogh into the Cleveland International Hall of Fame for her work in both the Hungarian and Hispanic communities. 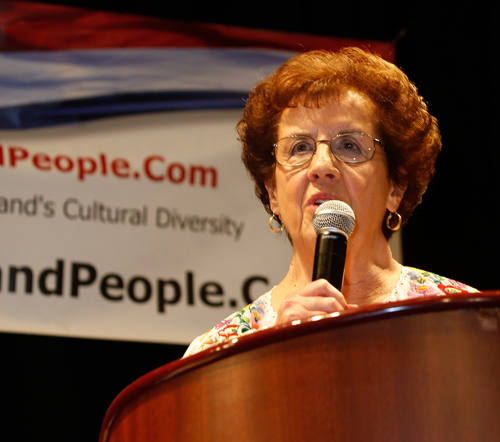 Carolyn Balogh was inducted into the Cleveland International Hall of Fame for her work in both the Hungarian and Hispanic communities. In her acceptance speech Carolyn told of the Centennial of the Cleveland Cultural Gardens.